A group of community skaters travel from local neighborhoods to ollie, hardflip and catch air around the CSUN campus. For these mix of students from Cleveland High School, Patrick Henry Middle School and one home-schooled student, it has become a daily routine to skate on campus after school. 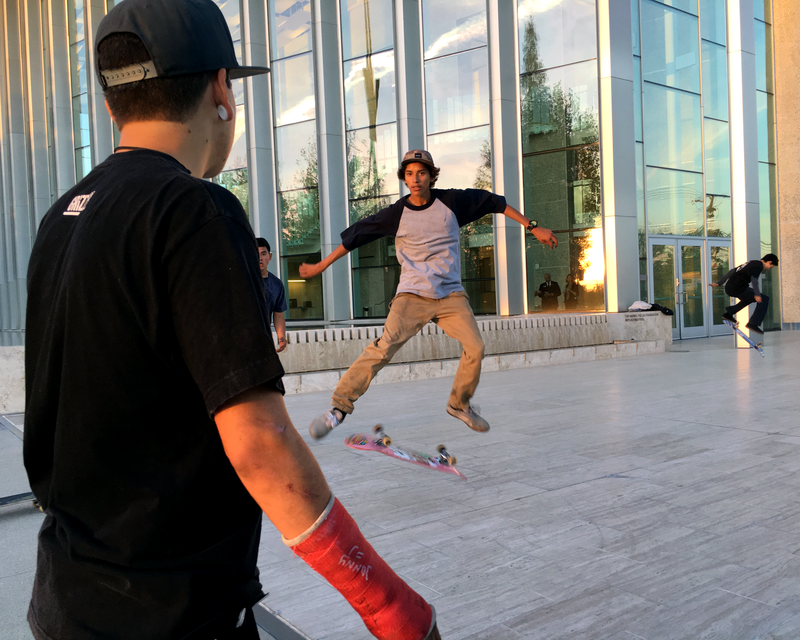 According to the students, they frequently skateboard all over campus – sometimes by Sierra Hall and occasionally by the Valley Performing Art Center. They continue to come back to campus to skate because it offers many places to skate. Everywhere they go there are different rails, a number of stairs and landscapes that provide opportunities to learn and do new tricks. 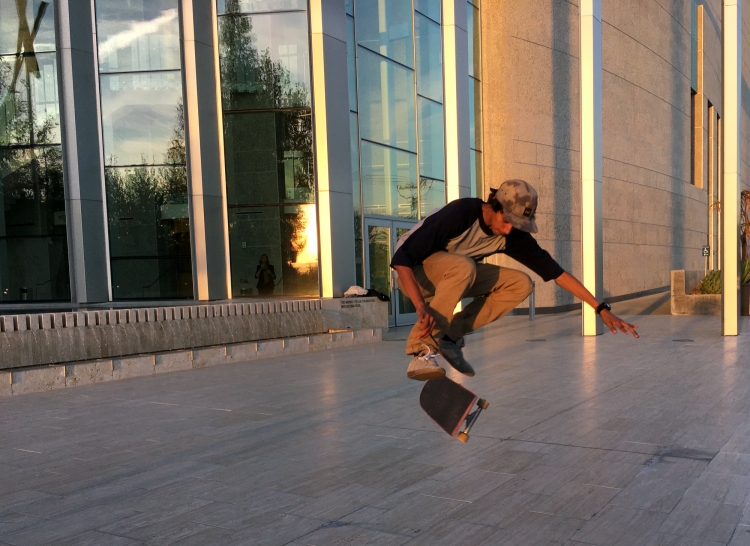 Arana said he comes to the CSUN campus to skate because he likes to admire the landscape. He has been skating on campus for more than four years. 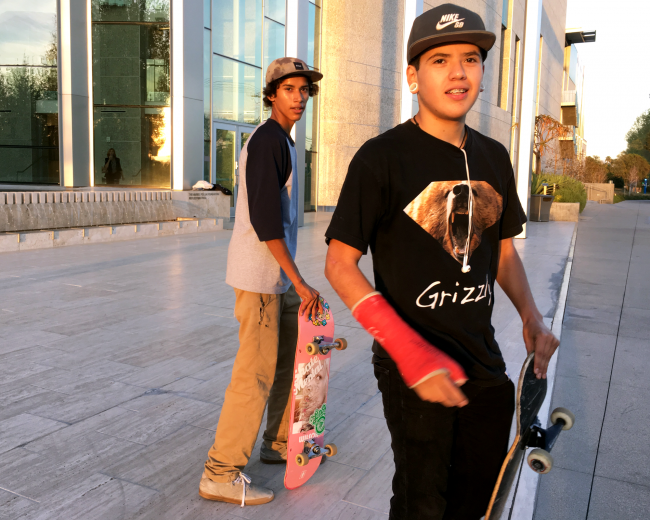 One of the skaters, Rick Molina, 18, Options for Youth student, broke his right arm two weeks ago when he was attempting a trick by the stairs of Sierra Hall. “You just can’t stop skating, you know,” Molina said. 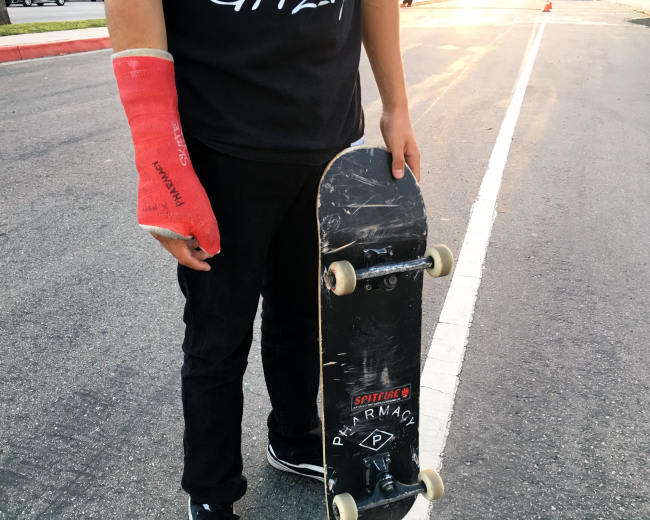 The next day after breaking his hand he decided to come back and skate at CSUN. No injury was going to stop him from skating, Molina said. They all met each other through mutual friends that skate. After skating for a while here they go down to Parthenia Street to continue skating until they have to go home, said Jose Esquivel, 16. “Everywhere is a skate spot,” Esquivel said. Sometimes they can’t come back to skate in the same place for a week or so because campus police has noticed. The group was asked to leave CSUN campus Wednesday afternoon after they were seen skateboarding in front of the Sierra Hall. Yet when asked to leave campus, they relocate to other spots on they said. Rick Molina boke his arm on campus last week, but continues to skate. What do the stickers on your laptop say about you?